2. Transfer fish fillets into serving plate then garnish with parsley. 3. Serve with garlic-mayo dip. 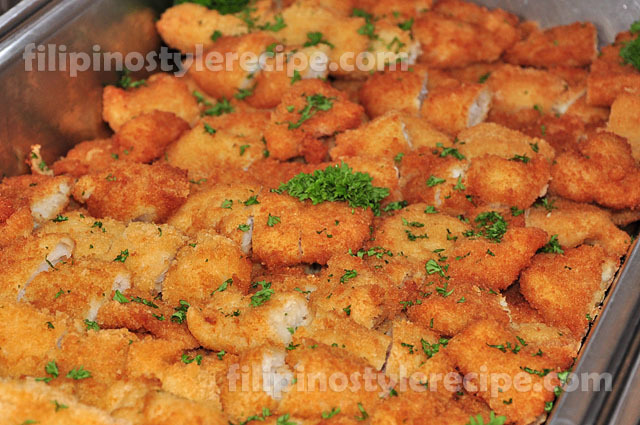 Filipino Style Recipe: katsu sauce is a popular dipping sauce in Japanese cuisine. It has a sweet and spicy taste that is usually serve together fried breaded pork called as porkatsu or chicken or fish. 1. In a sauce pan, combine all the ingredients then bring to boil in a low heat. 2. Remove from heat and let it cool before serving.